Independent institutions remain anathema to the government in Greece. Two cases that have dominated the headlines in recent weeks demonstrate how the country’s populist government, led by the hard-left Syriza party, continues to put politics before reform and refuses to learn the right lessons from the country’s recent past. 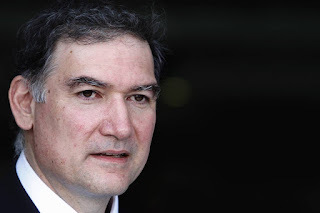 The criminal case against economist Andreas Georgiou returned to the spotlight last month when it was reopened by the country’s Supreme Court. A longtime official with the International Monetary Fund, Mr. Georgiou had been appointed six years ago to head the independent Hellenistic Statistical Authority, or Elstat. The prime minister at the time, George Papandreou, created Elstat as a response to the discovery that the government under his predecessor, Costas Karamanlis, had underreported the country’s fiscal deficit. After an exhaustive review, Mr. Georgiou revised the 2009 deficit figure upward to 15.4% of gross domestic product from 13.6%. Elstat’s European Union counterpart, Eurostat, fully accepted the result, as it did all subsequent figures produced by Elstat during Mr. Georgiou’s five-year term. The age-old practice of putting asterisks of doubt next to Greece’s budget numbers ceased after 2010.